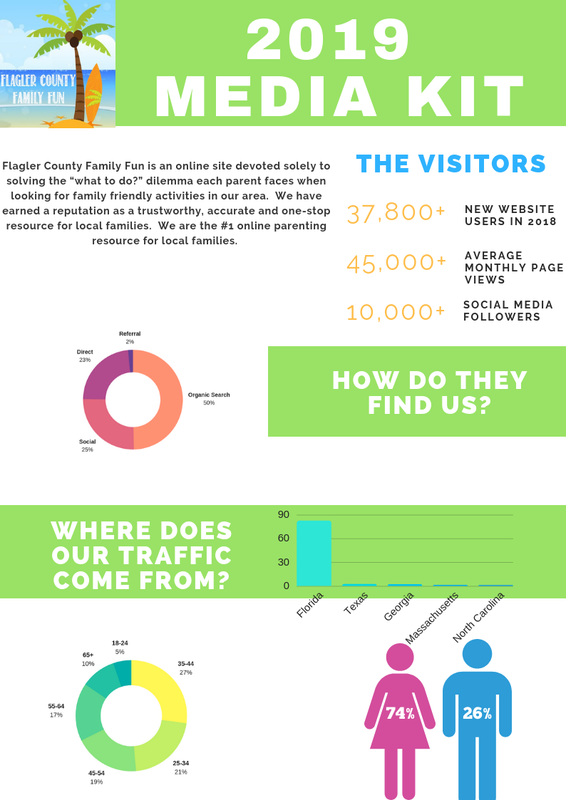 Flagler County Family Fun is the #1 Online Parenting Resource in Flagler County. We currently receive an average of 45,000 page views each month!! This is a highly targeted way to extend your marketing reach throughout Flagler County and surrounding areas. Since launching, our numbers have increased daily and show that parents love what they see and keep coming back! Featured on WNZF, Flagler Sheriff PAL, Hatchedit.com and Local Fun for Kids!! Read what people are saying about our site. There are many ways to advertise with us. We welcome the opportunity to work with you in achieving your business goals. Email for more info on our Advertising Rates info@flaglercountyfamilyfun.com.